Choose from the wide range of Lamp Tables by Exclusive Furniture World. Aged Ivory Carved Fire Surround Dimensions: H115 x W129.5 x D29.5 cm Inner Opening - H93.5 x 90.5 cm.. This antique bronze table lamp features detailing across the base giving the product a classical loo.. This black tripod lamp boasts an urban design perfect for indoor decoration, giving a modern feel to.. This table lamp features a stylish resin peacock stood proudly on a log with its feathers on show be.. This table lamp features a stylish resin walking flamingo which holds up the white shade which has a.. The Jenison range is finished in solid oak with a semi-gloss lacquer seal. The rounded oak cor..
Orb Black 1 Drawer Lamp Table UnitLamp Table UnitBrand: OrbItem: 1 Drawer Lamp Table UnitColour: Bla..
Orb White 1 Drawer Lamp Table UnitLamp Table UnitBrand: OrbItem: 1 Drawer Lamp Table UnitColour: Whi.. 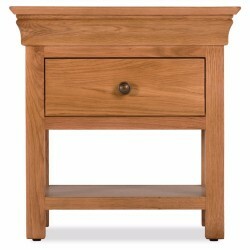 The Orland lamp table is finished in solid oak with a semi-gloss lacquer seal. The rounded oak corne.. The lamps base is made out of metal and features a beautiful mosaic detail which compliments the chr..